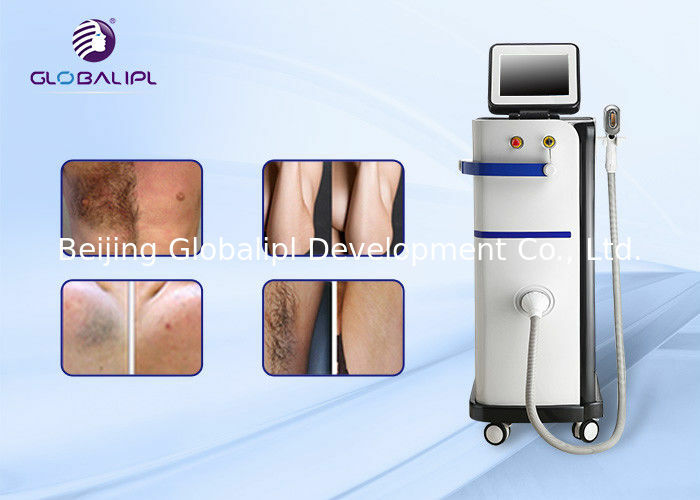 808 nm diode laser hair removal machine is accomplished when destroying the hair follicular unit by the thermal damage of laser fluence and thus inhibiting future hair regrowth by the follicle. (1) High energy, no pigmentation, excellent treatment result can be expected at the first treatment and suitable to all types of hair . (2) Long laser width, Effective for the hair follicles produce heat accumulation, Permanent hair removal. (4) Skin-Touching cooling system can make momentary epidermal anesthesia, no any painless during, increases comfort during treatment . (6) Self-checking and auto-protection mechanism to ensure the stability . 1.Who is suitable for Diode laser? 3.How many sessions are required? We recommend a minimum of 6 sessions per zone and each session on a monthly interval basis. For those who are slightly more hairy, they may need up to 10 sessions. 4.How do I prepare for my hair removal session? Avoid tanning the area to be treated for at least 7 days prior to treatment. Do not scrub or wax the areas to be treated for at least 7 days. If you develop rashes or itch over the areas to be treated, please inform your doctor or therapist to postpone your treatment. 5.What should I do after each session? 6.How long must I wait for the next session? Depending on the hair re-growth cycle, you can return 4-6 weeks for the next session. 7.Is Diode laser hair removal permanent? Diode laser hair removal targets the deeply seated hair follicles and permanently damage them as opposed to shaving, waxing, hair removal creams which only serve to move the hair shaft. Unless you have gone through hormonal imbalances caused by pregnancy, menopause, intake of hormone pills, most people enjoy permanent hair reduction/removal. thanks for you time ,interested in it please tell me ,more information will be provided ,have a nice day!